There’s an interesting story in the world of chess that I think illustrates one of the problems with so called Ethical Codes. Former chess champion Gary Kasparov has been forbidden to hold office in the chess federation, FIDE, for two years because of an accusation of attempted bribery during his recent campaign to become president of that organization. Ethical Codes are created by organizations as a way to prevent behavior that they considered unethical. If an employee violates this code they are subject to punishment up to and including termination. The modern use of such codes in business is often related to justifying punishment rather than preventing unwanted behavior. I’m not completely opposed to such codes. I think an organization has every right to create their own rules. I recently wrote about how the U.S. Soccer Federation should prevent Hope Solo from participating in the Olympics because of her troubling off-field activities. Likewise I spoke about the NFL’s sanctioning of Ray Rice for similar transgressions. 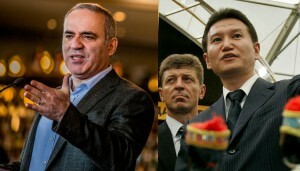 The problem in this case is that the FIDE is absolutely and totally corrupt. It is run by a man who routinely uses bribery to implement policy. To have such an organization stipulate ethical violations against a member for doing exactly what they themselves do is a rather tough pill to swallow. When a code is applied unfairly it’s not really a code at all. It’s just a cudgel used to keep those who disagree in line and punish enemies. I’m opposed to removing such codes because I think any organization has the right to create their own rules. I’m also against a higher agency coming in and dictating how an organization applies it codes because this just means corruption moves up to that higher agency. The problem is not solved at all, despite the illusion of improvement, and in many ways made worse because the higher the agency the more people it has control over. The only real solution is for members of the organization to see through the facade and elect better representatives or form their own group. It’s not easy to convince those currently in power that misapplication of rules in a way that benefits them is, in the long run, bad for them. It is. If one person can misapply rules to gain advantages then soon enough someone will come to power who is not your ally and will use the same methods against you. It is far better to apply rules fairly and evenly and allow the best to succeed within the confines of your structure. While that philosophy is comforting, the pragmatist in me realizes that reality is not. Kasparov is banned. 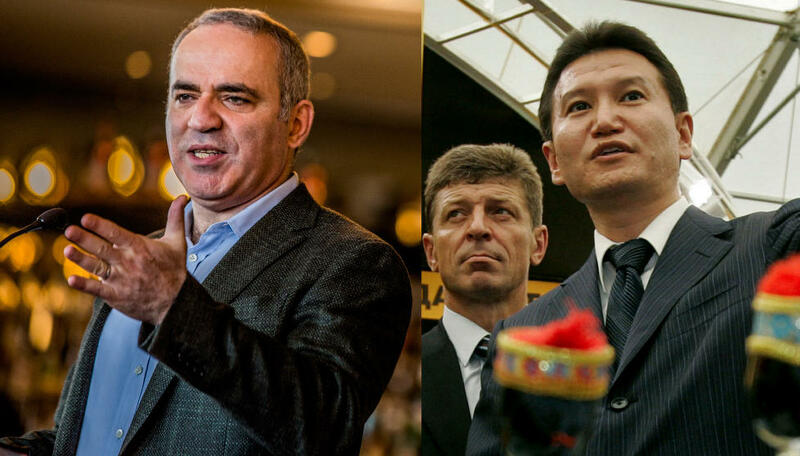 The FIDE is corrupt. No solution appears imminent. Those in power and those who support them seem perfectly happy with the arrangement as it is. They have enormous bankrolls and there is no shortage of people willing to do anything for money. The Libertarian ideal is but a dream. What can I do about it? I’ll write another book and hope the leaders at FIDE read it, understand it, and apply the principles of freedom to their organization. What else can I do? I just read a really nice story about a fellow named Magnus Carlsen who is the best chess player in the world. He might well be the best chess player in the history of the world. He also seems like a pretty nice guy. The story goes into how Magnus took up chess at the age of five because he father was keen to teach both Magnus and his older sister, Ellen. According to Henrik Carlsen, Magnus didn’t immediately pick up the game as have other chess prodigies throughout history. He learned the moves but didn’t fall in love with the game and insist on playing it all the time. Then something happened. About three years after learning the game his older sister started to get good at chess. Now Magnus was interested in getting better at chess because, as Henrik says in the story, he just wanted to beat his sister. That’s a motivation I understand thoroughly. You see, I have an older sister also. I pushed her down the stairs once. I dumped an entire glass of water in her bed once, yes, she was in it at the time. I tried to beat her at Risk and Monopoly but generally came out on the short end of that stick. 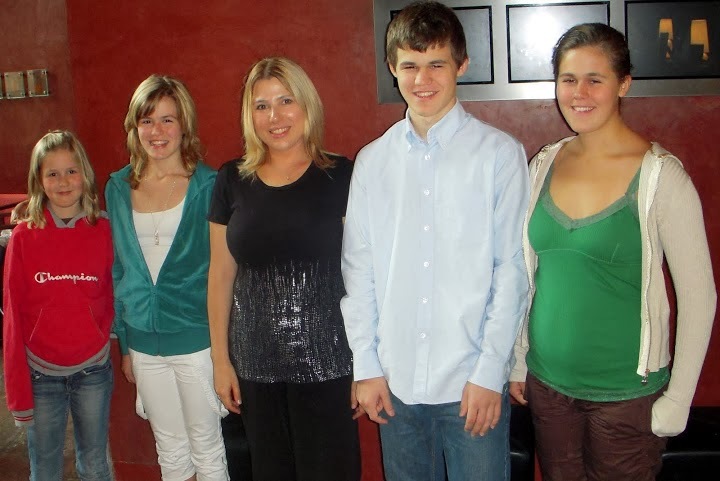 If you look closely at the picture you’ll quickly note that Carlsen has two other sisters. The woman in the middle is mom who is not a chess player. I have five sisters including the half-sisters and step-sisters. So I’ve got Magnus beat there. If we just count up sisters I should be a significantly better Risk player than Magnus is a chess player. At least that’s the logic with which I’m running. There’s not really a point to my blog today other than a shout out to my metaphorical sibling Magnus. I get it, my brother! Now to try and figure out why I didn’t become the greatest Risk player in the history of the world. There’s got to be a reason. Anyone other guys out there with a female, older sibling care to tell some stories in the comments? You wouldn’t think that playing internet chess would give insight into a better way to lead your life but that’s exactly what happened to me when I started to play. I’ve discovered that diversity and balance improve life and I’ll tell you why. I played chess as a young lad. My father taught me the game and I played him many times over the years. 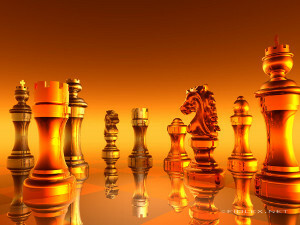 When I got to Junior High School, as they called it back in the old days, I joined the chess team. On that team I played pretty regularly with the same group of people and the instructor. Once I got to high school I started to play water polo and never really looked at chess again except for the occasional game with a friend. Many years later my niece took up the game in a relatively serious way. She started to play tournaments and I decided that I’d take up chess again so as to give her an opponent. There are a number of places to play chess on the internet. 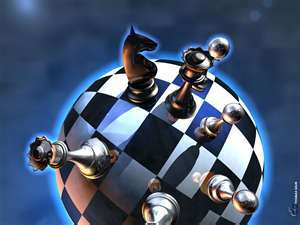 I currently play slow chess at Gameknot and fast chess at ChessCube and Chess.com. The grand-daddy of chess sites is ICC where the masters play. Now, as to my point. As a lad I played a lot of chess, particularly in junior high school. My game got to a level where I thought it was fairly good but the thing I didn’t consider was not necessarily the quality of my opponent but their quantity and different playing styles. In my youth I largely played people who used the same style and I played them over and over again. When I joined the internet chess community I was immediately exposed to a multitude of styles, a huge variety of openings, and a vast array of levels. I played openings I’d never heard of against opponent both significantly weaker than me and infinitely stronger. What I learned is that playing that variety of players with their varying styles improved my chess game far more quickly and comprehensively than playing the same people over and over again. Now, I’m going to get a little philosophical. I think this lesson can be taken to your life as a whole. If you experience the same thing over and over again it is difficult to improve in anything. If your job has you doing the same thing again and again. If you have discussions with the same people again and again, if you eat the same food again and again, you are limiting your life. Not only are you not experiencing a full life but your skills are stagnating. Try new ways of doing old things. Even if the new way looks really stupid give it a try. You never know what you might learn. Look at life differently, sit at a different place in the conference room, talk to someone new for a moment, try a different menu item or a whole new restaurant. I suspect that the more of anything we experience the better we get. If you want to maximize your skills at anything then I’d suggest immersing yourself in a wide variety of that thing. Not that it is easy. It takes time and effort but in the end you will improve yourself and your life dramatically. P.S. If you’re playing chess on the internet and you see this flag then get ready for a beating!